أمسكت بفنجاني ..رشفت منه ، قالت و هي تسعل : أتعجب كيف تشربي القهوة بمثل هذه المرارة ؟ …قلت : الحياة أكثر مرارة !! You can agree with him , you can disagree with him !!. You can review him as a Freedom warrior , you can review him as an antisemitic !!. Gilad Atzmon self-described as a Hebrew-speaking Palestinian , is a gifted jazz musician , activist ,writer , born in Israel, later immigrated to the UK and stands-up for Palestinian rights . Atzmon was interviewed by SocialistWorker.org on the 13th of July 2010 , the website deleted the interview and the editor commented . we have learned of many allegations that Atzmon has made not just highly inflammatory, but anti-Semitic statements about Jews, be they supporters or opponents of the state of Israel–and that he has associations with deniers of the Nazi Holocaust of the Jews. The evidence for these serious charges is damning. Nevertheless, we believe that our Web site, which is committed to the liberation of the Palestinian people and to the struggle against anti-Semitism, should not have published the interview without any reference to the controversy over someone who could make the comments and advance the ideas that he has–whatever his motives or reasoning. We have therefore withdrawn the article from our site. 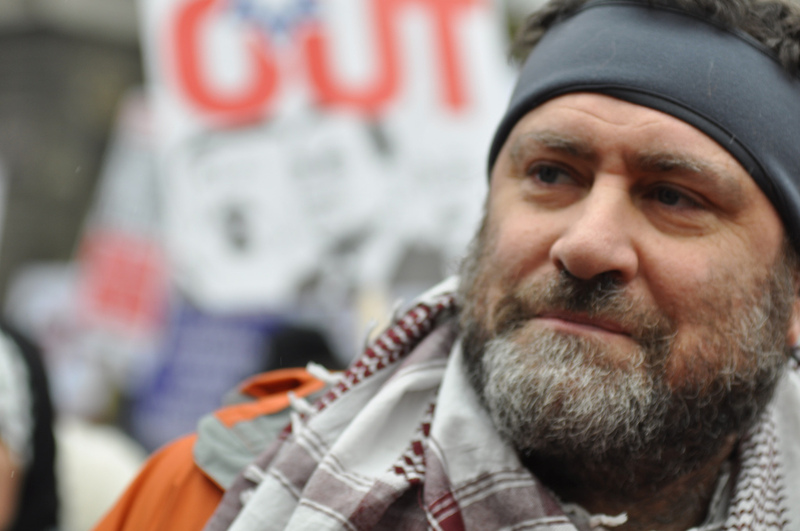 Here I will republish Socialistworkers.org Interview with Gilad Atzmon , not in defense of Gilad Atzmon , but in defense of freedom of expression , as a citizen of a Police-state categorized as an Internet enemy , i don’t believe in any kind of censorship , what so ever . I also believe in the right of all individuals to express freely their point of views including racist ones and the -so called- others have the whole right to oppose it in every non-violent way , but terrorizing people to change their adopted point of views , simply doesn’t work !!. I can only understand censorship aiming to protect masses massacring .. otherwise Censorship is not Justified in my point of view . Gilad Atzmon was born in Israel in 1963 and has become known around the world as a masterful jazz musician. As a multi-instrumentalist, he plays soprano, alto, tenor and baritone saxophone, clarinet and flute. His album Exile was the BBC jazz album of the year in 2003. He has been described by the London Sunday Times’ John Bungey as the “hardest-gigging man in British jazz.” His nine albums often explore political themes and the music of the Middle East. He has recorded and performed with Shane McGowan, Robbie Williams, Sinead O’Connor, Robert Wyatt and Paul McCartney, and was a member of the punk band The Blockheads. In 1982, Atzmon completed obligatory military service during the Israeli invasion of Lebanon, and his experiences then brought about a major change in his thinking. He currently lives in exile in Great Britain and regards himself as a Hebrew-speaking Palestinian. In addition to being a musician and political writer, Atzmon is a novelist whose books have been published in 24 languages–among his works are Guide to the Perplexed and My One and Only Love. Atzmon recently traveled to western New York to speak about Israel and Palestine and perform selections from his new CD. His appearance created a stir when just five days before the June 29 performance in Rochester, the venue, a local Unitarian Church, suddenly retracted its offer to host Atzmon due to “concerns” about the content of his past political statements and rumored pressure from local, pro-Israeli religious leaders. Thankfully, due to the work of local activists, a new venue, the Flying Squirrel Community Space, was found on short notice and the performance took place, on schedule, to a packed house of more than 70 people. Atzmon and Siegel also performed the next evening in Geneva for a $100-a-head fundraiser with proceeds going to the Deir Yassin Remembered Scholarship Fund. After his Rochester performance, Atzmon sat down with Brian Lenzo to discuss music, politics and his thoughts on the future of peace in the region. YOU GREW up in Israel, right when the Palestinian National movement had come on to the scene. Were you aware of it? What was it like growing up in Israel at that time? As kids, we thought, “Everybody is mad!” The mentality was–and still is–us versus them. The Jewish world is divided into a binary opposition of us and them. This was my vision of the Palestinians. We were shocked to wake up in the morning and find out there was a terror attack, then another terror attack. It took me years to understand that these were people who were fighting for their land–land that belongs to them and them alone. It took me some time before I realized that the Qassam rockets are a love letter from the Palestinian’s stolen land. The Palestinian movement is a poetic movement. And it’s through the poets that they will be able not just to liberate their land, but to liberate all of us. I TRAVELED to Gaza last year in July with the Viva Palestina convoy, and I spoke with people from the Jabaliya refugee camp. They talked about their expulsion first in 1948 and then again in 1967. It became clear to me that if you only allow return to the 1967 territories, but leave alone the issue of 1948, you would be potentially splitting up families…The mother could return to the West Bank, but the grandmother could not go back to Haifa. I DEFINITELY look back on it. I wasn’t aware. We were not aware. Probably our teachers were not aware and probably my father, who lived through it. We really have to start to understand the notion of phantasmic past. These people invented their past, as Shlomo Sand argues, and he is right. The Zionists invented their past with the hope that their future would shape accordingly. And their history doesn’t have to be consistent, because they can invent it whenever they want. They cherry-picked the events that would support their narrative. It’s very typical. Every time I think about my past, I find more and more things I should have recognized. I read and reviewed Ramzy Baroud’s amazing book My Father Was a Freedom Fighter, and he talks about his father’s experience and where he was born. It’s amazing. I gave it to my mom, who read it and, like myself, was shocked. She said, “Where was this village?” We looked at the maps, and we couldn’t figure it out. You have to understand. It’s hard to believe, but try to imagine you traveled from Rochester, N.Y., to New York City and on your way back, all the villages and towns along the way were wiped out. Even the signposts…gone. The Israelis have managed to wipe out Palestinian civilization. But it didn’t work. Why? Because the Palestinians didn’t disappear. The claim is there. It is sound. The prickly pear is there, in each village, to point out that this was a village of authentic people and will be there until they come back. Again, it’s poetic. I ASK about your childhood because growing up in this part of New York, you have the experience of learning about the history of Native Americans in the United States, and then part of your school education is to tour some of the sites, because this area is where the Iroquois Nation lived and still lives. Our school books will at least admit that the Native Americans were driven off their land, but at the same time, they won’t talk about what that might mean for the current generation of Native Americans. Do you see any similarities to this situation in Israel? IN MY opinion, the Palestinians are not anything close to that situation. The Palestinians are still nonexistent to the Zionists. The Israelis don’t understand that the people in Gaza, in the West Bank and in Lebanon are largely people waiting to come back. They are there, still waiting, but they will come back. I understand it now. I know that many Palestinians lost hope throughout the years, but I think that there is room for hope again. IF YOU google the name Gilad Atzmon, you find this dual persona. There is the musician, and then there is the writer/activist. In your presentation, you talked about how these aspects of your life intersect. Can you explain this some more? IT’S AN open question. It’s a dynamic thing. You see, I’m basically dyslexic. And dyslexic people are used to regarding themselves, at least in their early life, as morons. I used to think, “You’re stupid, man.” Everybody has to write, you know, we all write, but when there was a dictation, I ended up with more mistakes than letters! So I never thought that anything good would come of me…I’ve never spoken about my dyslexia before, by the way. When I was 17, I listened to Charlie Parker, and said, “Oh my god!” And the saxophone–wow! I had a saxophone, and I started to play. Through music, I really became a confident human being. I never had any dream of becoming a philosopher or thinker. Now I start to understand that I am. It took me many years to understand that I see things differently, and a lot of people are interested in my thoughts. One thing that is very clear to me: I am a loner. I don’t take orders from anyone. I never want to be part of any party or any group or any ideological setting. I want always to be free and to try to think things through for myself. As a musician and as a producer, I listen. I close my eyes. I want to be overwhelmed. And that’s the way I operate now with my writing. I am writing for myself. When I’m doing a written interview, I want every answer to be an exciting moment. I think this makes my writing very popular at the moment, and I’m still developing. I’m searching for the truth, the philosophical truth. I am searching for something that will explain it all. Because there are a lot of things I don’t understand yet. For instance, I don’t understand what it is that all those AIPAC Zionists want. What do they want? It’s like the most stupid question. Do they want safety? No. Do they want security? No. What do they really want? It’s a very big question, a very simple question but I don’t have an answer. YOU HAVE a certain confidence to talk about an issue that is rather hush-hush in the United States. It’s not polite to talk openly about the Palestinians, let alone question the nature of Jewish identity. TO START with, based on stats from my Web site, hits coming from America are surprisingly high. My popularity in this country is shocking. If somebody told me years ago that I would be getting 30,000 hits a day or something like that from America, I would have laughed out loud. So, it’s true, a lot of people here are reading it. Earlier today, someone asked me, “Given all you said, what should we do?” I don’t like to talk about state solutions–one-state solution, two-state solution. The most important thing, the only thing that we can do, is to speak our heart. 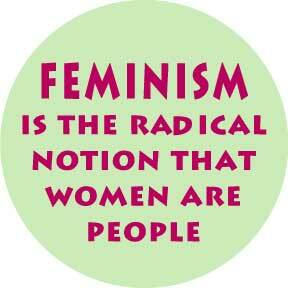 For some, it may be for the first time after so many years of being silenced. Speak your heart. Say, “We don’t like it. We don’t like what you’re doing. We don’t like to send our soldiers to fight Zionist wars in Iraq. We don’t like it.” To identify, to name and shame the people that are behind it. They will call you an anti-Semite. To me, if telling the truth means I have to be labeled an anti-Semite, then I’ll be an anti-Semite. What do you want me to do? A LOT of musicians aim to become the best at a particular genre. From my perspective, you have managed that much with your saxophone playing, but beyond just being talented at your craft, you explore other musical genres outside the Western musical tradition. Can you talk some about that? America is a country in search of professionalization in everything. You have to be really good to make it in America, and I admire that. But with music education in jazz, at the Berklee School of Music in Boston and other music schools, music has lost its spirit. Rather than the spirit of resistance–and this is what jazz was and what made it so great–it has become just another form of knowledge. So the professors say, “And today we are going to learn the Lydian scale. Everyone together–one, two, three, four!” I went to Berklee–I was there for two hours, man. If this is what it means to be a musician, I thought I better become a builder. YOU SEEM to gravitate towards musical styles that have these radical roots, like jazz and punk rock. Is that intentional? I LIKE music that moves walls. Coltrane could break a wall. I was lucky to work with Ian Dury. This man, this band, The Blockheads, can cut through anything. I had a great chance to work with Robert White. Robert’s taste was extremely vulnerable. It’s delicious. It’s this crispy deliciousness that can make a window crack. Yes, I want to be moved by music. I started to cry. I thought, “What did I do now?” He said, “Listen, you just won’t let something go.” You know, I could walk into a session with a band, and I’ll stay there until a tune is tearing you apart. My engineer is right, I won’t let it go. And I hope that I’m not yet at my peak. Yesterday, I listened to Zero Hour by Astor Piazzolla on the airplane. Oh man, he can go through a tank! I’m not there yet, but I am still working on it. IT’S THAT combination of anger, defiance and also hope. That came through in your talk and in your playing, too. I THINK that hope is the fuel of life. And I don’t think that the current political setting is providing us with such a thing. What is the greatest asset of Barack Obama? It was the hope. And I don’t want him to waste this hope on idiotic political games. We need hope because we don’t have money. We have kids, but what kind of world are these kids going to have? It’s very possible that our politicians cannot provide this hope. I said the other day, and I’ll say it again: Try to buy an F-15 fighter jet. They’re expensive, man. Try to buy a tank. Try to buy armor. How much is it? Hundreds of thousands, maybe millions of dollars? It’s much cheaper to buy a politician. You take him on two trips to Israel with his wife and put them in the Hilton in Tel Aviv…She can do the shopping, blah blah blah. They have a good time, they fly them back, give them some money so they can have a new swimming pool. That’s it! It’s much cheaper to buy American or British or French or German or Dutch politicians than buying a tank! So they buy a few American politicians, and then you fight their wars. You go, you kill Saddam, you say you’re going to liberate the Iraqi people. It’s almost pathetic. How can these politicians…how can this system provide us with hope? The first step towards hope is to be genuine. Say, “We don’t like what we see.” And for Palestine, I think that the shift of consciousness is far bigger than the politicians. The politicians will follow us. We are ahead of them. On February 8th, Micheal Oren spoke at UCI. During his speech Oren was interrupted by 11 protesters who had every right to speak out. Now they are charged with disrupting the peace and being targeted by hostile university administrators. They have a lawyer on their side but the UCI students might face suspension or expulsion. Please help voice support by joining the group. Contact UCI Chancellor Michael Drake NOW to declare that it is unjust to arrest these students. Supporters of the arrests are contacting administration in large numbers, and your support is needed desperately! · It was unjust to arrest students for simply having the courage to stand up and speak out against a man responsible for propagating the deaths of thousands of innocent people. · Civil disobedience has historically played an instrumental role in the civil rights movement in America that eventually ensured equality and human rights for all minorities. · Michael Oren is a representative of a state that is condemned by more UN Human Rights Council resolutions than all other countries in the world and he should not be honored at UC Irvine. · As concerned community members, we will not support an educational institution that threatens to punish its students with suspension and expulsion for standing up for their principles. Please sign this petition in solidarity with the Irvine Eleven. Oh enemy of the sun! ربما ترفع من حولي جدارا وجدارا وجدارا ..